With support from rising stars: Pell, DoNormaal, and Dream Journal! If you ever considered vacationing to Seattle, now's the time—and by now we mean next week, specifically April 13. 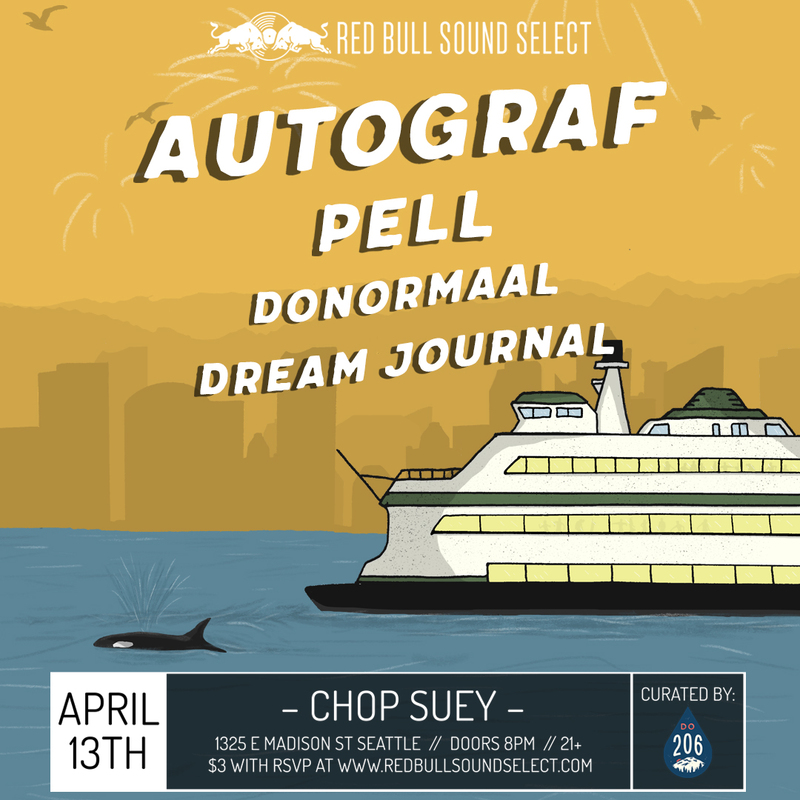 When you get there, make sure you block out time on your fun calendar starting at 8 p.m., because that's when Red Bull Sound Select Presents: Seattle is taking over Chop Suey. Who's performing? Headliner, Autograf, plus rising stars Pell, DoNormaal, and Dream Journal. Such an awesome lineup!! If you're unfamiliar with these incredible artists, now's the time for us to drop some knowledge. 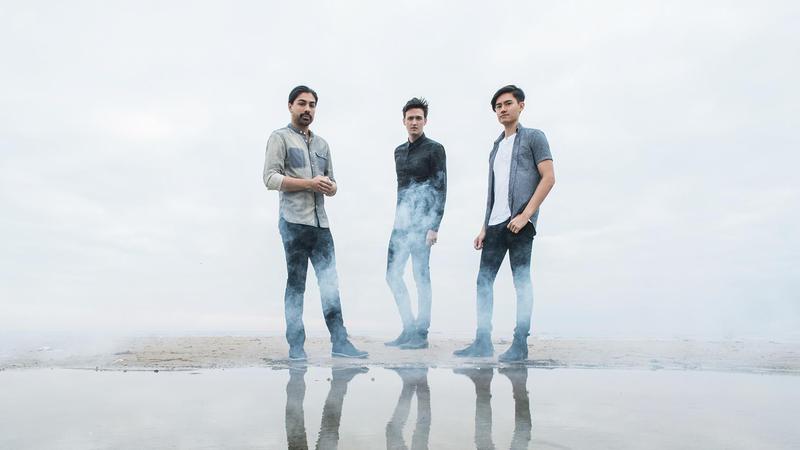 For Chicago trio, Autograf—Jake Carpenter, Louis Kha, and Mikul Wing—performing live shows is the icing on the cake of their infectious future house jams. Don't miss their truly unforgettable concert, complete with their own handmade instruments, paintings and stage installations, that will leave you on cloud nine. By now, you have to know emerging New Orleans hip-hop artist Pell. If not, don't miss his exclusive hometown city guide for Bandsintown, and our recap for his awesome Miami, Nashville, and Austin Red Bull Sound Select shows! The triple threat absolutely crushed his sets, and we can't wait to see him perform live again in Seattle! PS, he might be more of a coffee addict then you are—we know it's hard to believe! A fixture of the local Seattle music scene, DoNormaal cannot be missed this spring, seeing as the California native has big plans for the coming months. She'll be performing at Sasquatch! Music Festival in May, and will also be dropping a new self-proclaimed "chaotic and stubborn" project called The Third Daughter, which we are beyond amped for. As for Dream Journal? The Seattle music producer, performer, and DJ has opened for everyone from Purity Ring to El Ten Eleven—all of which are reason enough for us to check him out. Tickets are $3 when you RSVP here before April 13 and twelve-dollars at the door without an RSVP. The best part? All proceeds will support the opening bands. Rad! Track each artist below so you never miss them when they perform a show in your town (just incase Seattle can't happen for you in the next few days! ).